Tina Thomas Jones, 59, of Coatesville, passed away on Friday, January 16, 2009 at the Brandywine Hospital. She was the widow of the late Horace E. Jones. Born in Coatesville, she was the daughter of the late Gerald and Doris Baum Thomas. Todd C. March, 47, of Ephrata, passed away on Thursday, December 24, 2015 at the home of his parents. 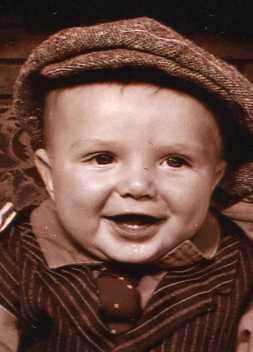 Born in Lancaster, he was the beloved son of Larry and Janet Yeoman March. Todd was an area resident all his life and a self employed carpenter by trade. He was a member of the Lighthouse Assembly of God of New Holland. Todd R. Bottke, 41, of Cochranville, passed away on Thursday, January 8, 2009 at the Christiana Hospital in Delaware. He was the husband of Ginger M. Spanakos Bottke, with whom he shared 17 years of marriage. Trey Allen Toaltoan, 22, of Parkesburg, formerly of Florida, passed away tragically on Tuesday, March 30, 2010. Born in Coatesville, he was the son of Sonya Pannell of Jacksonville, Fl. and Theodore L. Toaltoan, Sr. of Parkesburg, and the stepson of Deborah Supplee Toaltoan of Parkesburg. He had been living in Parkesburg for the past two years. Valerie L. Mariano, 55, of Gap, passed away at her home on Sunday, March 19, 2017. She was the beloved wife of John F. "Jack" Mariano, with whom she shared 30 years of marriage. 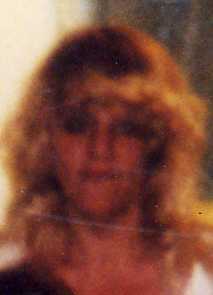 Valerie Lynn Canfield, 58, of Lancaster, passed away on Monday, July 25, 2011, at her home. Born in Lancaster she was the daughter of the late Irvin and Mary Shearer Reed. Vera Marple, 84, of Thorndale, passed away on Sunday, December 11, 2011 at the Neighborhood Hospice Center of West Chester. She was the widow of the late John Marple, who passed away in 1978 after they had shared 30 years of marriage. Born in Bel Air, Maryland, she was the daughter of the late James V. and Gussie (Joines) Yale. Verna M. DeGezelle, 92, formerly of Glenmoore, passed away on Thursday, March 26, 2015 at the Lancaster General Hospital. She was the widow of Maurice DeGezelle who died in 1997. Born in New Bloomfield, PA she was the daughter of the late George and Florence Borrell Hoffman. Verna S. Snyder, 92, passed away on Saturday, October 27, 2018, at Harrison Senior Living of Christiana. She was the widow of the late Melvin J. Snyder, who passed away in 1993 after they had shared 30 years of marriage. Born in Hazelton, Verna was the daughter of the late Mary C. (Berry) and James M. Jones.